Ali described the common practice he has observed of giving Muslim-American children names like Aidan, Adam, Sarah, Layla, and Sophia, but rarely names like Muhammad. He queried why he would burden his child with a “profile-worthy name,” and noted the anti-Muslim bigotry seen in polls indicating Republican voters want to make the practice of Islam illegal, the many bills passed to ban Shariah law, and the fact that many don’t want a Muslim as president. The first thing I thought when I finished the piece was that Jewish-Americans have been there. We are still there. I am there everyday. As an American boy named Ariel, I know precisely what Ali is talking about when he describes the mockery and questioning those of us with ethnic names endure. And while I too “own” and honor my name, it is often apparent that it continues to mark me as an outsider, and to “out me” as a Jew—which is becoming more dangerous around the world, if not in America. Only this summer while in Israel did it really strike me how, unlike in America, I felt at home with my name there. This was the case even for, and especially for, simple everyday tasks like giving my name to a barista when I was ordering coffee. I realized that the importance of your name being known–and being normal–cannot be understated. Of course, Jews have understood this reality for some time. While the Jewish people exiled in Egypt maintained their separate and distinct identity in part by retaining their Hebrew names, language, and dress, for centuries Jews living in gentile lands took “local names” to use when interacting with their gentile neighbors. This practice became so common that the rabbis eventually deemed it necessary to rule that Jews must also have a Hebrew name. Many American Jews have continued the practice of giving two names: One name for the rest world, and a Hebrew name for the tent and synagogue. 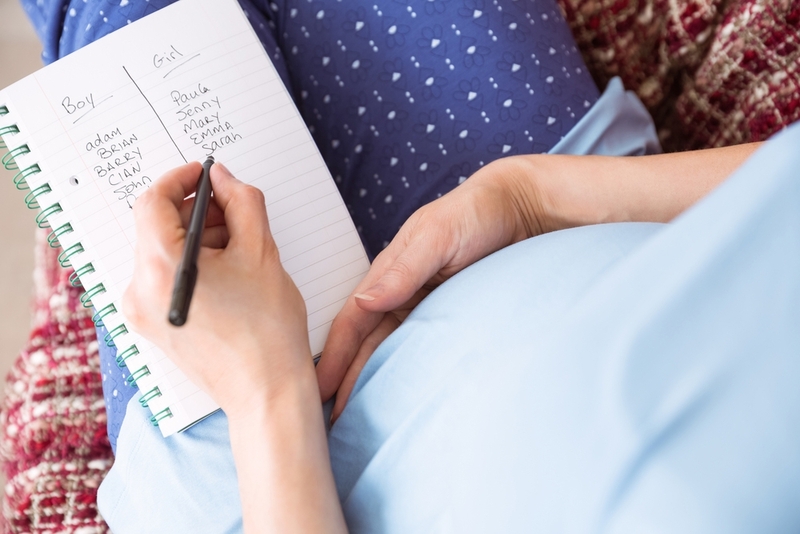 And even when we choose biblical names, as is seen from looking at the top Jewish baby names for 2015, it is easy to find names that will fold into the melting pot: Daniel, Samuel, Joshua, Benjamin, David, Michael, Anna, Abigail, Hannah, Ava, Ella, Elizabeth. My wife and I gave our daughters those kinds of names: American names, local names, names that are wonderful and meaningful and strong, but do not come with baggage or a Jewish heritage. And it is also true that their names are so distant and unrelated to the beauty and heritage of their Hebrew names. It is somewhat ironic that I, a one-named Jew (I have no separate Hebrew name), named my daughters in this fashion. But, it also makes sense. I was following Jewish-American custom. And, like Ali, I would never want to burden my children with names that might cause them pain. We are currently moving through an era where we are breaking down gender, racial, and other lines that divide us, where we are open to fluidity and the humanity we all share, and where we are also strive to be respectful of all the ethnicities and religions and heritages in the world. But still I wonder whether more American Jews will overcome our fears of using our Hebrew names in public, the way that Israeli Jews do, the way that Ali describes he has done. Or whether the long-time desires to be normal and assimilate, along with the scourge of anti-Semitism that is once again circling the globe, will dictate other choices.